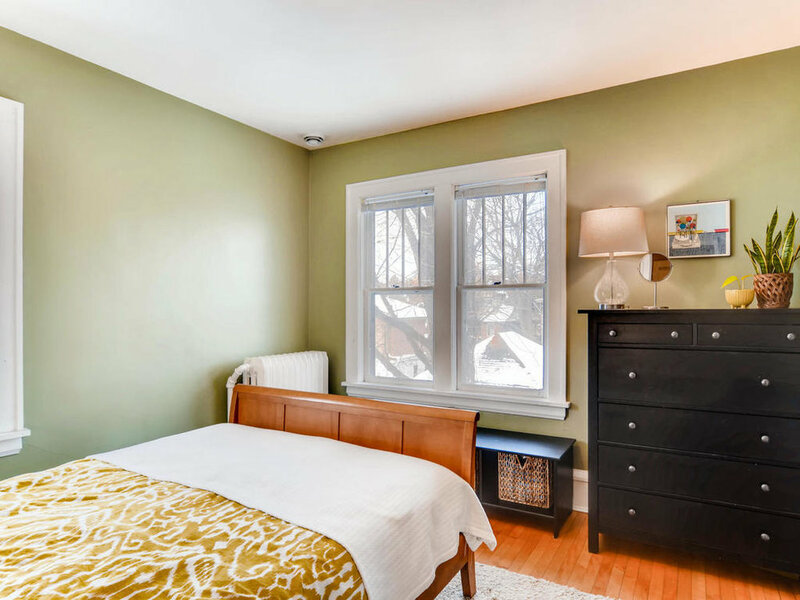 Here’s a peek inside our Saint Paul home and some of the remodeling projects and updates we’ve done. It’s natural to be curious about what other people’s houses look like inside. The popularity of HGTV, the Parade of Homes, and other local home tours are proof that people love looking at houses. Count me among them; one of my favorite parts of being a Realtor is the chance to see inside people’s homes! 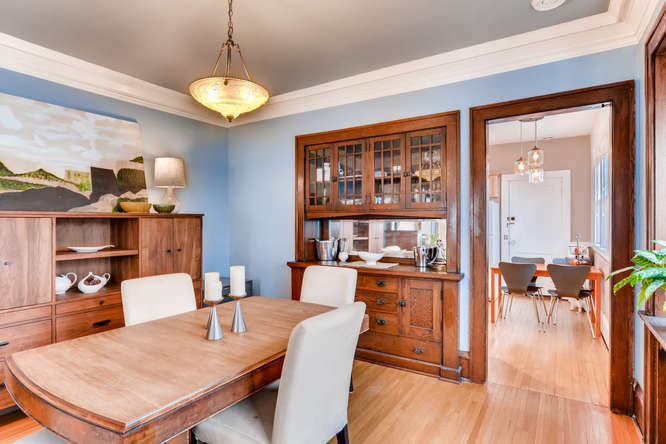 I love working on and decorating my own home and rental property, a triplex a few blocks south of Lexington Parkway and Grand Avenue in St. Paul’s historic Summit Hill neighborhood. 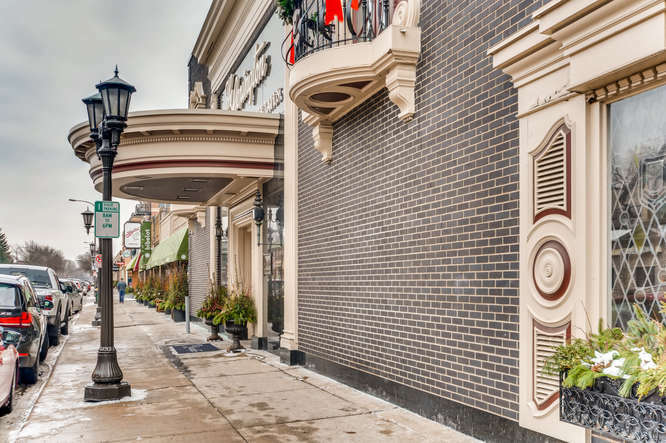 We love the character of the neighborhood and being able to walk to so many restaurants and shops nearby. 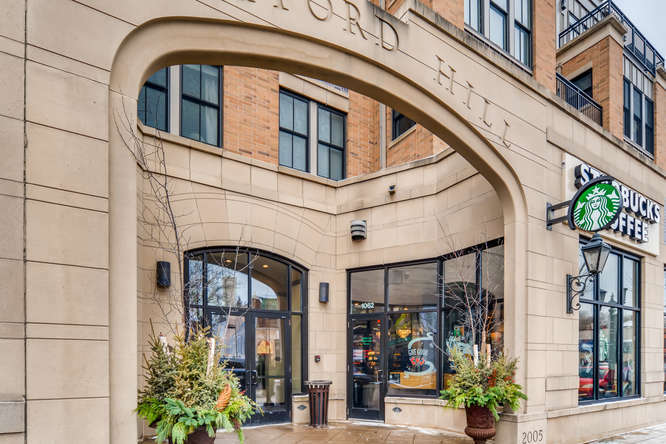 We live on the second floor and rent out the first floor and garden level units. Living in an owner-occupied rental property has worked very well for us. We’ve always had great tenants who like the idea of living with their landlords (and emergency maintenance contacts) right nearby. The living room is connected to the sunroom and dining room, giving us a large, open living area. The kitchen is adjacent to the dining room. The dining room light fixture is original (at least since we bought it - I don’t think it’s original to the home), you can see the new light fixture from West Elm that we installed in the kitchen a few years ago. Kitchen table is from Ikea - we stained it with a semi-sheer glossy varnish that shows the woodgrain. Kitchen chairs are from Room & Board. 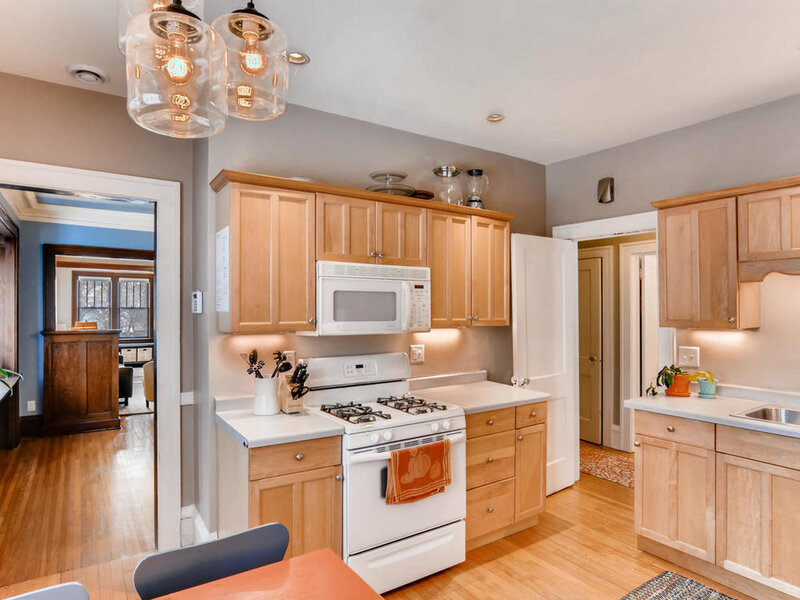 The kitchen is really good sized for a duplex - it’s one of the reasons we fell in love with the building. The previous owner had installed the newer cabinetry. We put in a new range and microwave. 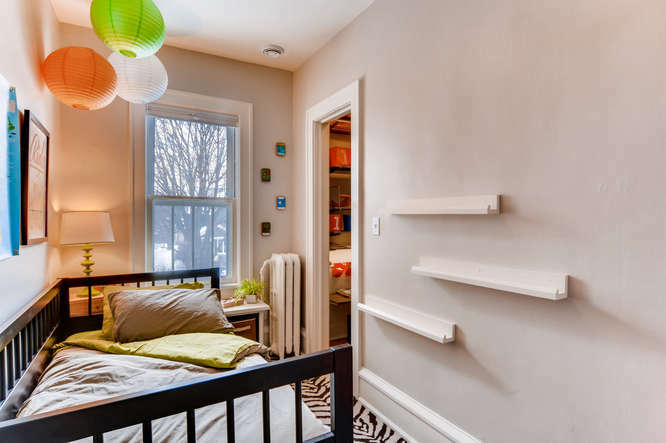 We've made this very small room a functional kids bedroom by utilizing the vertical space. We added low profile shelves/book ledges on the wall and a built-in desk and shelving in the closet for storage. I love the elfa closet systems we installed from the Container Store. Phil worked painstakingly to re-rope and repaint the windows in this bedroom. We did a light remodel in the bathroom in 2017, replacing the sink, vanity, and toilet and installing bead board and new baseboard. We kept the original marble hexagon tile on the floor - it is definitely weathered though, showing some pitting and cracks. Like many of our neighbors, and fellow old-house dwellers in St. Paul, we’ve had to invest in our share of unplanned and not very visible improvements: water heaters, chimney repair, ice dam removal, and re-grading of landscaping to name a few. What I find more interesting (and more fun) are the improvements you can see! Since we bought our triplex 12 years ago, Phil and I have made many planned improvements as well; the most significant: remodeling the garden level apartment; new concrete sidewalk, stairs, and patio; adding central air, and remodeling the bathroom in our unit. This summer, we hung wallpaper on an accent wall in our kitchen (a photo and more on wallpaper in a future post). Next on our list: investing in a much-needed exterior paint job. 2018 was a banner year for the Wahlberg & Toohey Group with Coldwell Banker Burnet. We’re so thankful to all the clients, family, and friends that helped us reach our goals! 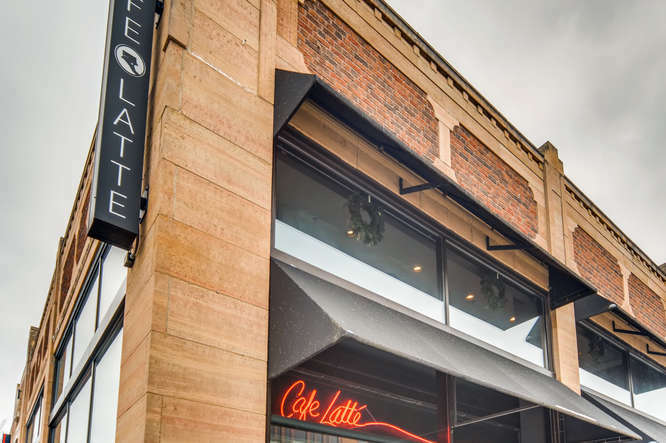 David Heide Design Studio has been a fixture in downtown Minneapolis’ historic Grain Exchange Building ever since he first opened shop 20 years ago. Today, Heide’s company, which specializes in the design of new and remodeling of historic homes, has grown to 15 people and the offices on the sixth floor of the Grain Exchange have been expanded multiple times to make room for the growing business. I sat down with Heide, a long-time resident of Summit Hill, and some of his employees recently to talk about their company’s history and design philosophy, and what they love about Summit Hill, where Heide’s company has done many remodeling projects over the years. Q. How did you get your start in the design and architecture business? David: I studied interior design and architecture at MCAD and the University of Minnesota. I was working at a great firm, McDonald & Mack Architects when I started moonlighting on my own projects. They were wonderfully supportive, and after three years, I struck out on my own. Q. 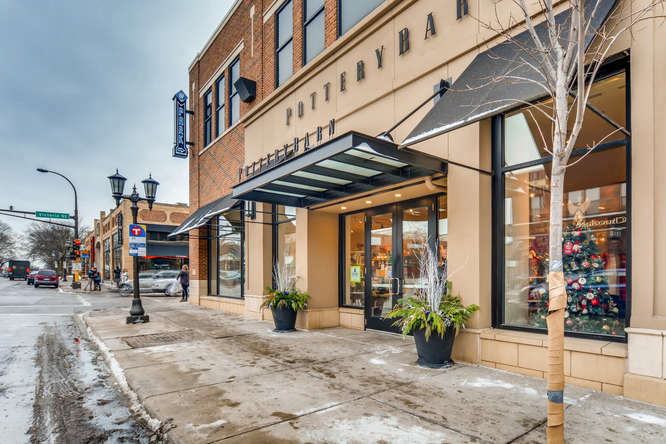 You are a long-time resident of Summit Hill; what do you love about living here? David: I grew up in suburban Des Moines, but I’ve never felt more at home than I did the day I arrived at Macalester. The Summit Hill neighborhood helped launch my business. It’s a thrill to be part of the continuity of this neighborhood – it’s a living, breathing thing. I believe we’re stewards of the buildings we occupy while we own them, and there’s a pride of place here that’s very unique. Q. How has your company changed in the last twenty years? David: It has changed a lot; we started out with two people and now there are 15 people in our office. I’ve tried to surround myself with people that are better at things than I am and that shore up my weaknesses. 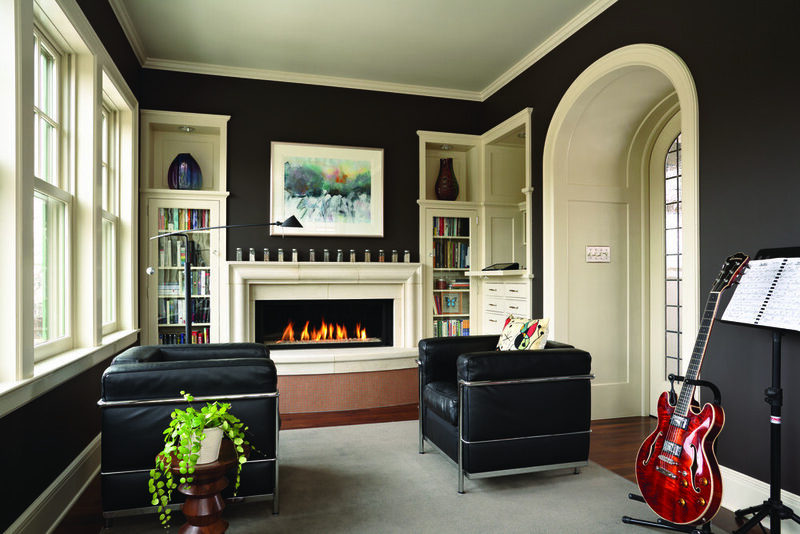 Ten years ago, we added interior design, which doubled the business. Now about half of our work is architecture and half is in interior design. Having these two practices in the same studio affords a really holistic approach. Q. What is your philosophy as a company? What makes you different? David: We have an overarching philosophy of work and we stay true to it: good design transcends style. We strive to 1) hear what our clients are telling us, 2) Listen to the house, understanding and respecting the original design intent, and, 3) at the end of the day, it’s about the client and their home. The project, whether a new house, or a remodeled one, must be a reflection of the client and a manifestation of their goals. We work very collaboratively. It’s all about the right connection between clients and our three project architects. They’re fantastic – and we’ve all been working together for more than 15 years. While often I am very involved in the design process and creative work, I always tell clients they don’t want me managing the project! We have folks who are far more skilled than I.
Q. What do you consider some of the company’s greatest accomplishments? David: Beyond the honor of running into clients and having them tell us how much they love their new home or remodel (which is truly an honor), it’s been very gratifying to be recognized by our international peers. It was a career achievement to win first place in the Sub-Zero & Wolf International Kitchen Design competition. A project right here in St. Paul was selected from over 1,500 other entries from around the globe. We’ve also won two national first place awards from Marvin Windows. It’s been a pleasure to have new opportunities open to us as we’ve grown – we recently designed the remodel at Summit Brewing’s Rathskellar [beer hall]. Q. What’s your favorite room in your house? David: The summer house in our backyard. Q. Where do you get inspiration and recharge your creative batteries? David: They say design happens when you’re not at the boards, and that’s true for me. I find inspiration most often when I’m immersed in something outside of work – when I’m at the theater or a concert, or when I’m driving. David: I’ve been into cars and houses forever. For me, with cars, it’s a lot about the design aesthetic and the experience. We have a 1968 Datsun Roadster. I also got a chance to talk with Brad Belka, Director of Design, Michael Crull, Senior Interior Designer, and Leanna Kemp Kristoff, Design Associate, about their work at David Heide Design Studio. Q. What’s different about working at David Heide Design Studio? Brad: The singular type of homes we work on; and the work we do is unique and different from many others – the focus on detail really sets us apart. I love working on very detailed projects; the level on many of our projects is unmatched. Michael: We work really well as a group – it’s a collaborative effort in a design studio environment. 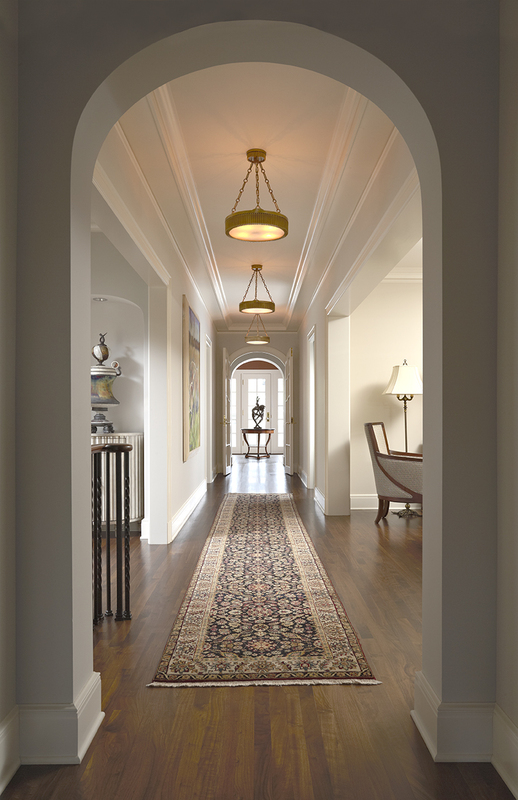 We’re great at integrating interior design and architecture – it’s hard to tell where one begins and the other ends. LeAnna: Every single team member is valued, no matter where they are in the hierarchy. Q. What changes in how we live will affect your work in residential design in the future? LeAnna: I think we’ll see a move towards greater density and living in the city. Brad: Clients continue to be interested in aging in place and designing their homes to allow for that. Summer Planters that Make a Splash! Planters are a great way to generate instant curb appeal in the warmer months. They allow you to add pops of color quickly and early in the season -especially nice if your yard is full of native varieties that tend to bloom later in summer. I am a plant enthusiast, but I would never call myself a gardener. The knowledge and grit to create and maintain true gardens is beyond my purview– which is why I love planting beautiful pots to decorate the entrance to my home and the patio in the backyard. Planters (sometimes called container gardens) are easy and can be completed in an afternoon. I talked with Maddy Westby at Lietner’s Garden Center (right in the neighborhood at 945 Randolph) for advice on creating beautiful container gardens. Fresh potting soil in a large enough container will give plants the best shot at thriving. A more generous amount of soil will lengthen the time it takes for your pot to dry out - although there’s no getting around the fact that pots typically need to be watered frequently. 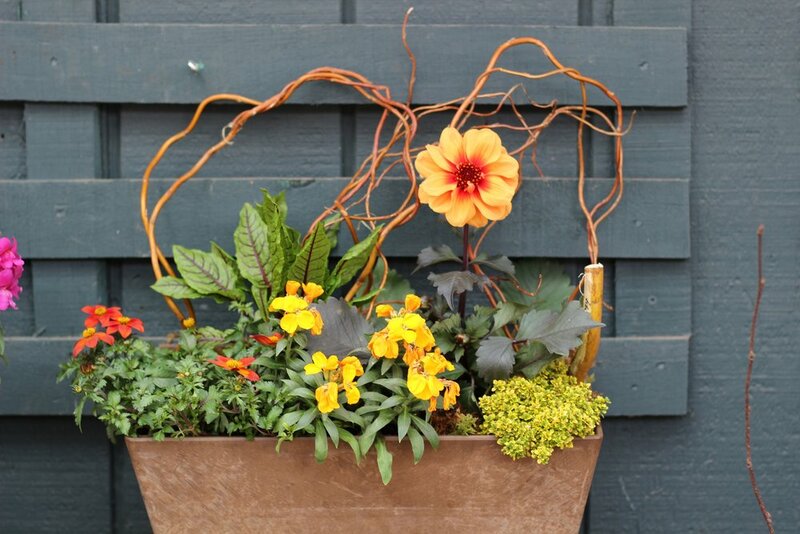 If you love container gardening, invest in durable, coordinating planters that you can use for many seasons. Leitner’s had a beautiful pot on display planted with flowers, curly willow, and three types of herbs. The herbs were labeled with shorter stems of willow with the bark shaved away. Herbs, tropicals, and other unusual plants are a great way to add variety and interest. Pots can be a great place to incorporate plants that attract and feed pollinators, butterflies, and birds. You can use honeysuckle and red trumpet vines in containers to attract pollinators and hummingbirds. A butterfly bush (buddleja) is not hardy in the ground as a perennial in Minnesota, but will grow nicely in a container and attract lots of butterflies. Will Your Remodel Pay Off? I’ve started writing a monthly article in the Summit Hill Magazine! Here’s my piece about remodeling projects from the May issue. 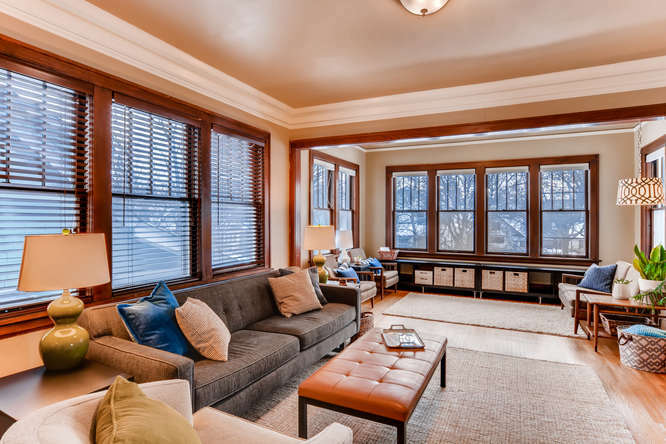 If, like me and many other Summit Hill residents, you reside in a 100+ year old home, chances are you’ve dreamed of remodeling at least one aspect of your home. The question many homeowners ask: “is it worth it?” They want to know if the money and time invested in improving their homes will pay off in increased value. But just as importantly, homeowners should ask if the project they’re dreaming of will pay off in increased functionality and enjoyment. According to Remodeling magazine’s annual cost vs. value report, the average payback for a professional remodeling project is 56.8%. The report is based on 20 common remodeling projects in 100 major markets. The magazine compiles local, professional project estimates and then surveys real estate professionals about how much higher a home’s selling price would be if the project were completed within a year of sale. “Payback” can be measured in many ways – whether it’s less stress about storage or fewer fights about bathroom hogging, increased functionality and enjoyment are valuable as well. A master suite addition might round out the bottom of the list on average, but I’m pretty sure a master suite addition would significantly improve my quality of life! I talked with David Heide, principal at David Heide Design Studio, for insight into some key considerations for homeowners contemplating a remodeling project. 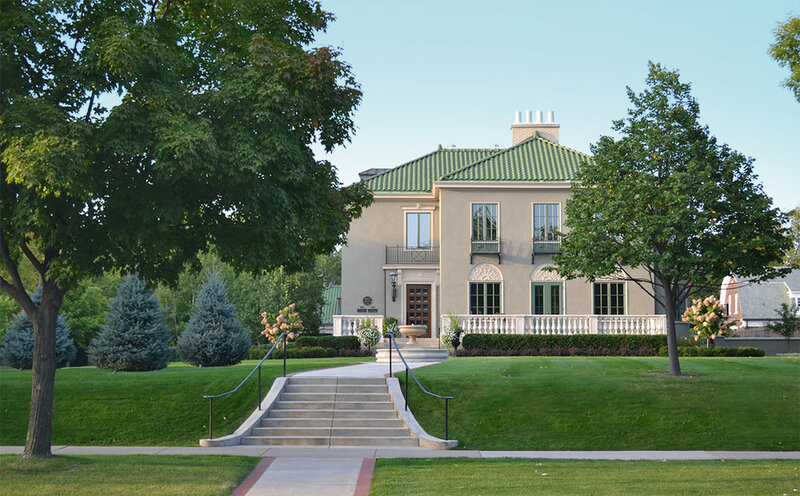 Heide’s firm has designed many projects in Summit Hill, the most common of which are: kitchens/mudrooms, master suites, whole house remodels, and exterior envelopes. One key question that Heide helps homeowners work through is whether they want to remodel or move. His firm can assemble an initial feasibility study and preliminary budget to help clients understand the total cost of a remodel. If homeowners are on the fence about whether to remodel or move, a realtor is a great professional to consult in addition to a designer and/or contractor. Realtors can help you understand what your home is worth, what nearby homes are selling for, and what your home might be worth post-remodel. Once a homeowner has decided to pursue a remodeling process, the work begins – selecting the professionals to help them complete their project. What is the process, what are the key milestones/stages and how will you work with me throughout them? What are the fees and how can I expect to be billed? “People need to ask about the process,” says Heide, “Remember, you’re interviewing them (the designer, builder, etc. ).” Sometimes homeowners get so caught up in describing the downfalls of their current situation and the improvements they dream of that they don’t devote enough attention to thoroughly interviewing remodeling professionals. Remodeling is a major endeavor for any homeowner – don’t skip doing your research! A snake plant and pothos plant in vintage planters grace a dresser in my bedroom. I have been working on some articles for local publications - hoping to be able to see this one in print soon! But in the meantime, thought I would share this article I wrote accompanied by some photos of plants in my home and some beautiful plants at Leitner's. Enjoy! Houseplants have become a major home décor trend in the last few years – greenery graces the pages of pinterest, instagram, and shelter magazines everywhere lately. Regardless of their trendy status, plants have always been a wonderful way to decorate your home, and February is the perfect time to incorporate a plant or two into your décor. Plants add warmth and life to spaces that can feel dull and grey by this point of winter. I love this two tone pot (from Crate & Barrel a few years ago - similar), so I move it around frequently to create a new little tableau. You don’t have to limit yourself to a pot on a windowsill. Try getting vertical – place a trailing plant on a high shelf, or hang a plant from a hook in the ceiling. (Macramé plant hangers, popular in the ‘60s and ‘70s, are back!) Find planters you love in finishes that accent your décor – vintage ceramic planters can be found in many local antique stores. Another popular way to use plants is to place air plants – which require no water –in glass containers on coffee tables or in between books and knick-knacks on shelves. Hanging houseplant jungle at Leitner's on Randolph Avenue in St. Paul. Maddy Westby, the always helpful houseplant specialist at Leitner's. I talked with Maddy Westby, manager at Leitner’s Garden Center, for some tips about incorporating plants into your home. Leitner’s, at 945 Randolph Avenue, is a 100-year old family-owned business. The store is full of fresh ideas for plants indoors and out, and they sell beautiful floral arrangements. Start big, rather than small: plants that are at least 6-8 inches in diameter tend to be more established and stable than the tiny starter plants in 3-4 inch pots. When you bring a new plant home, give it a fresh start by replanting it using good potting soil in a new pot that’s the same size or slightly larger than the plastic pot it came in. A ceramic pot, even a glazed one, provides better aeration for the roots than a plastic greenhouse pot. Some hardy plant varieties to try: philodendron, pothos, and snake plants. If you don’t have a lot of light, try ferns or the zee zee plant (Zamioculcas Zamiifolia). Succulents are very popular in recent years, but they do best with lots of sunlight, so make sure to place them in a sunny, south facing spot. Overwatering is a common mistake, according to Maddy, “people know when they don’t water, but they don’t always know if they’re overwatering.” Pick a regular time once each week that you will water plants to make it easier to remember. Signs of overwatering include yellow leaves, bugs, and soggy soil. Perhaps the most helpful advice Maddy shared: don’t be afraid to toss a withering plant in the compost heap if it’s not working out. If a plant isn’t working for you, don’t feel guilty about trying another one. Have fun! Sweet aluminum plant under a cloche at Leitner's. I love the copper planter too. I bought a bouquet for a client that was arranged in that same copper planter - lovely!